After the international hit OSS 117: Cairo, Nest of Spies was released in 2006 (it didn't make it to the States until 2007), it was almost inevitable that a sequel would soon follow. After all, the genre it so deftly lampoons is known for its penchant for prolific sequels, so it only seems logical that the spoofs should follow suit. However, as is often the case with most sequels, OSS 117: Lost in Rio just doesn't live up to the promise of the original. All the elements are in place, but the joke wears a bit thin this time. Lost in Rio falls into an all too common sequel trap - it brings nothing new to the table. For this go-round, the bumbling, cluelessly insensitive Hubert Bonisseur de la Bath (Jean Dujardin), aka OSS 117, has been assigned to track down former Nazi officers who have fled to Brazil after WWII and bring them to justice. Along the way he teams up with a beautiful Mossad agent who has been tasked with capturing Nazis and returning them to Israel to face justice from Jewish authorities. Of course, our intrepid hero is more interested in bedding the Mossad agent, Dolores Kuleshov (Louise Monot), than he is in finding Nazis, and his penchant for letting his libido drive his decision making gets him in trouble more than once. Of course, while it is often dumb luck or the quick thinking of his counterparts that get him out of it, OSS 117 has a way of getting the job done even while being a hapless boor. The problem with the film is that once it sets up its premise, it really has nowhere to go. It is a one joke movie carried over from the last film, with nothing new or particularly creative to say. OSS 117 is a bumbling, horny idiot, surrounded by much more intelligent people who pull him along, leaving him to think he is the best. It is a pretty typical spy spoof set-up, but where the original felt fresh and funny, Lost in Rio feels tired and strained. The film is mostly a series of set pieces with no real cohesion or narrative drive. It places its hero in increasingly ludicrous situations that, instead of flowing organically from the narrative, seem born out of group brainstorming sessions about crazy things he could get himself into. The longer the film goes on, the more one gets the sneaking suspicion that the script is made up of rejected jokes and concepts from the original. It's less funny and more silly, repeating its dumb spy schtick ad nauseum. The antics are still good for a few laughs, but as a whole the film is turgid and stale when it should be loose and funny. The tongue-in-cheek cleverness is gone, having been replaced by a feeling of been-there-done-that ennui. It's less cohesive and less funny than its predecessor, completely lacking the creative spark that made Cairo, Nest of Spies such a riotous joy. For all its strained attempts to recapture the magic, Lost in Rio is just more of the same. Only this time, the novelty is nowhere to be found. 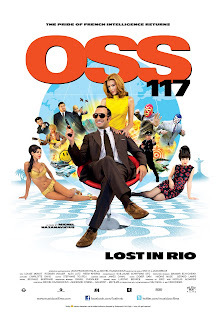 OSS 117: LOST IN RIO; Directed by Michel Hazanavicius; Stars Jean Dujardin, Louise Monot, Alex Lutz, Rudiger Vogler; Not Rated; In French w/English subtitles. This movie has been specifically made with French humor, that's why you can find it unfunny. You should be French men! I don't think my not being French has anything to do with it. 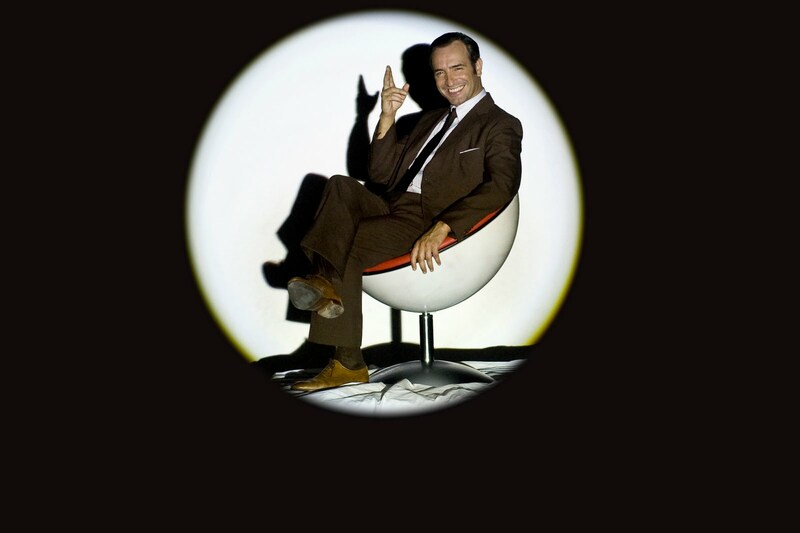 I love the first OSS 117 film. This one just didn't live up.